So last year I posted a recipe for Watermelon Rind Soup, and someone commented that they used watermelon rind to make pie. That sounded like a fantastic idea and I knew I'd have to give it a try when I got a chance. Well it's watermelon season again and I tried it! And the verdict is that pie is a very, very good way to make use of watermelon rinds. It's super frugal and watermelon rinds are actually good for you (see the above recipe for rind soup for more info), so you can totally justify eating pie for breakfast, lunch, or dinner. As I've said elsewhere, I'm allergic to a lot of raw fruits and veggies, and I can't really have raw melons. I can, however, have them cooked. When raw they make my mouth itch, and my skin itches when I handle them, so I usually have to use gloves for this. There are various recipes for using watermelon rind. Some include cooking it down with sugar and adding nuts and raisins. 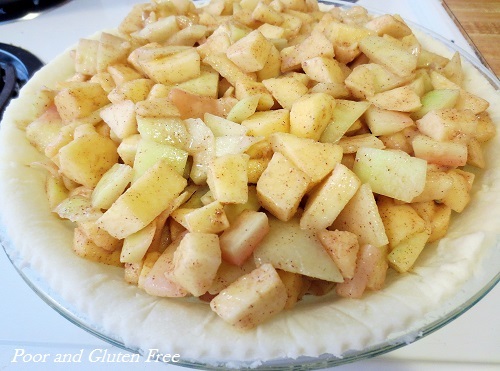 Others include just mixing it with sugar and baking the crust and filling together. I simplified my recipe and, since I only had a small watermelon, I mixed the rind with some diced apples. This way the watermelon imparted a delicate flavour, but wasn't overwhelmingly watermelon-y. I didn't pre-cook the filling, and as a result the rind was a bit crunchy. I didn't mind that, but if you prefer it softer you can cooked the filling for about 10 minutes in a pot on medium heat. Optional: 1 Tbsp melted butter (vegan if desired) or coconut oil. 1. Make pie dough, wrap in waxed paper and chill at least 10 minutes. 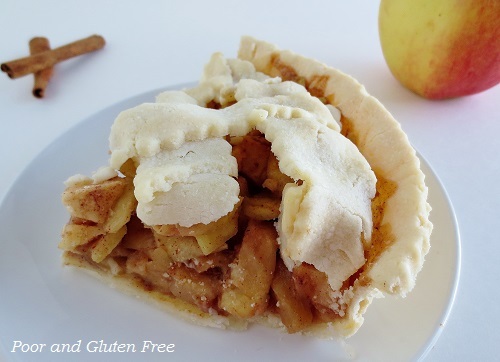 Roll out between two sheets of waxed paper and fit into a 9" pie dish. Cut to size. Set aside remaining dough and keep wrapped and chilled. 2. 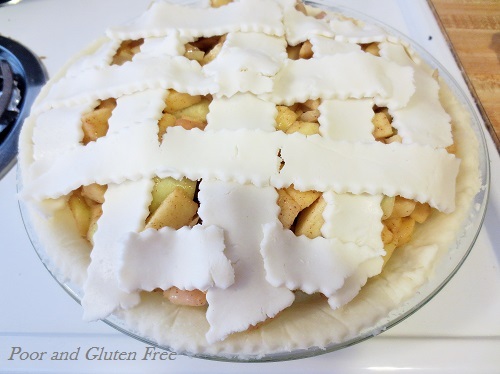 Mix together filling and arrange in pie crust. Alternatively, cook filling in a pot over medium heat for 10 minutes to soften. 3. 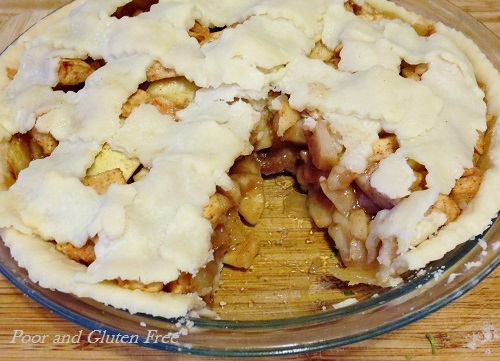 Roll out remaining crust and slice into 3/4" strips (or use a cookie cutter for fun shapes!). Arrange over pie. Brush with butter or coconut oil. 4. Bake in oven for 15 minutes. Turn heat down to 330F and cook another 25 minutes. Remove and cool 10 minutes before serving. Looking for more cooked watermelon recipes? Try my Watermelon Rind Soup! Wow creative! Thanks for linking up with us for MM. 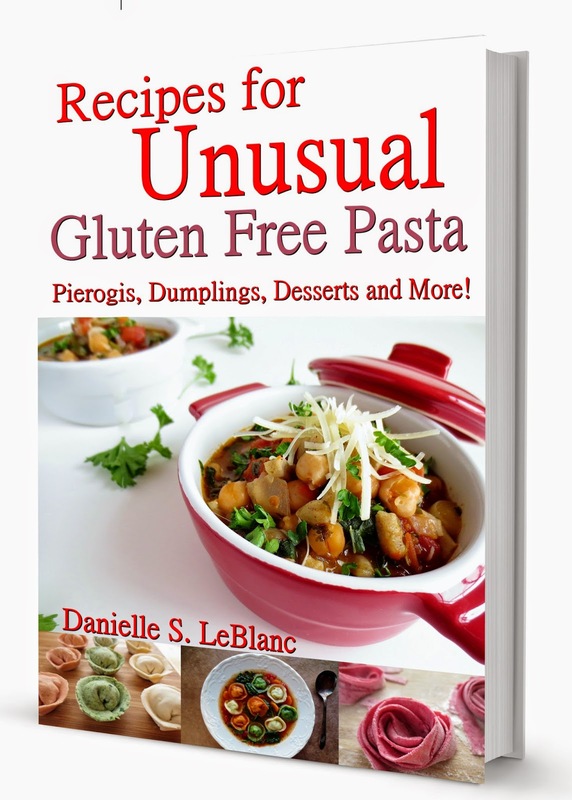 Hope you will check out some of the other recipes in the link up too! Thanks for stopping by, Annmarie, and yeah, surprisingly watermelon rinds are pretty versatile! 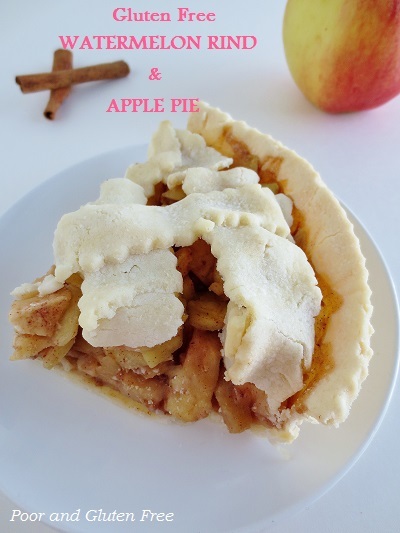 It's hard to go wrong with pie ;) I hope they like it! What a wonderful way to use all of the watermelon! 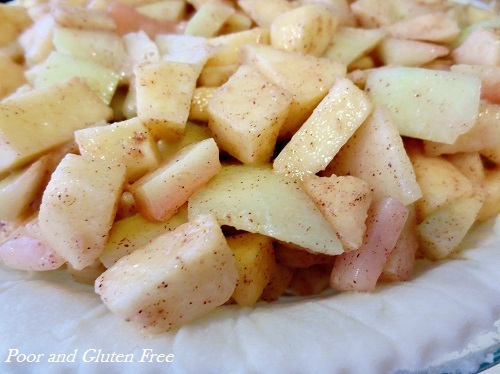 Your Watermelon Rind and Apple Pie looks delicious, Danielle. Thank you for sharing the recipe with us at the Hearth and Soul hop. Sharing! This dessert looks so amazing. 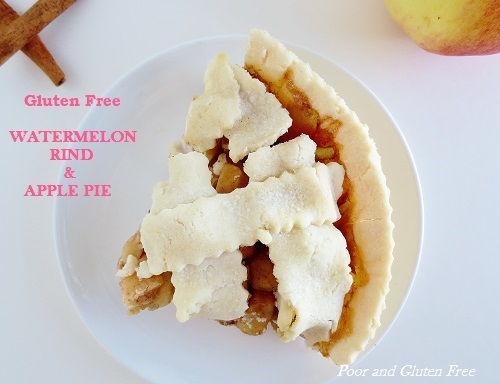 I can't wait to make your yummy vegan version of the Gluten Free Watermelon Rind and Apple Pie and enjoy it friends and family. Thanks for sharing it with us on the Healthy Happy Green and Natural Party Blog Hop. I'm pinning and sharing.